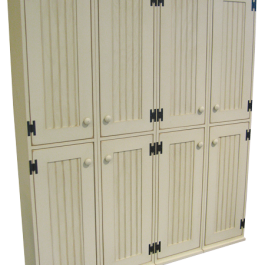 These custom locker cabinets flank an open center section, and sit atop a row of roll-out drawers with screened fronts. 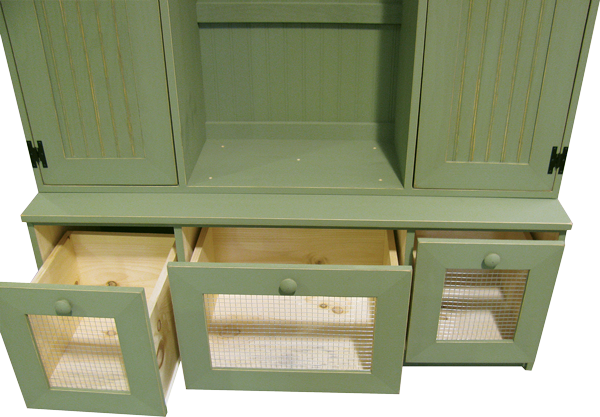 We use drawer glide hardware so drawers open and close easily. 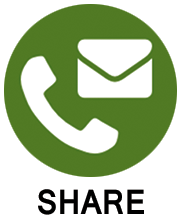 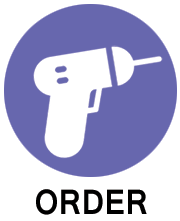 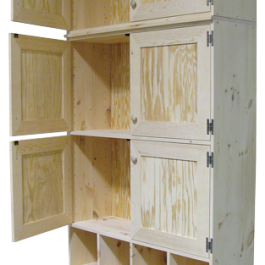 We can make drawers, tip-out bins, or standard doors. 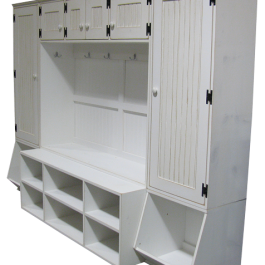 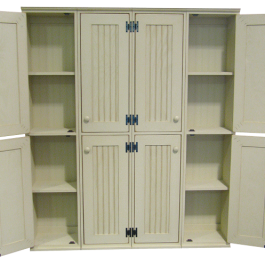 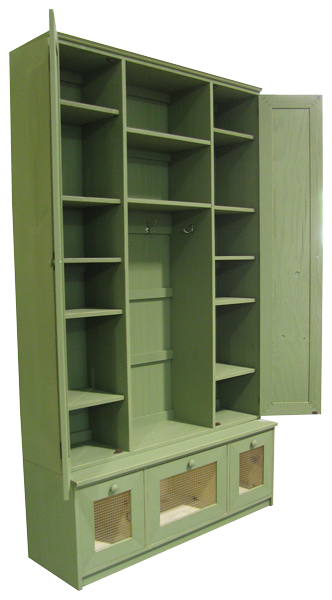 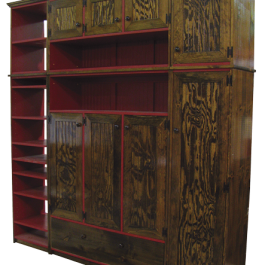 Whatever style of storage you prefer, we can incorporate it into your solid pine custom furniture. 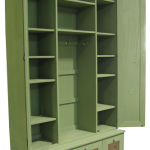 These custom pine locker cabinets have separate top and bottom doors to divide the storage into smaller shelved sections. 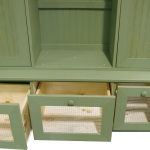 This custom entryway furniture is made from solid knotty pine and painted our Old Cottage White.